If you want to rest assured that you’re always eating the finest fruits and vegetables, then you have few more effective options than starting your own garden. While it will take some hard work, and you’re going to need to learn some techniques if you’ve never gardened before, it is all worth it. Few things in life are more satisfying than tending to your own garden and seeing it flourish. That being said, there are also few things in life that are as infuriating as seeing insects, weeds, and other outside forces slowly demolishing all of your efforts. Sometimes, you just have to do something about it. From rearranging your plants to ensuring that slugs and other insects are dissuaded from killing everything that you’re growing, gardening can be a chore, but the right tools can help immensely. For example, a quality trowel, some posts to support your plants, and the right soil can have you well on your way. Of course, you’ll always have some challenges when you’re gardening, and weeds tend to be some of the most stubborn troublemakers in a garden. Weeds wouldn’t be all that bad if they didn’t take up precious root space and didn’t steal the life from your plants, but since that’s the case, they have to go. 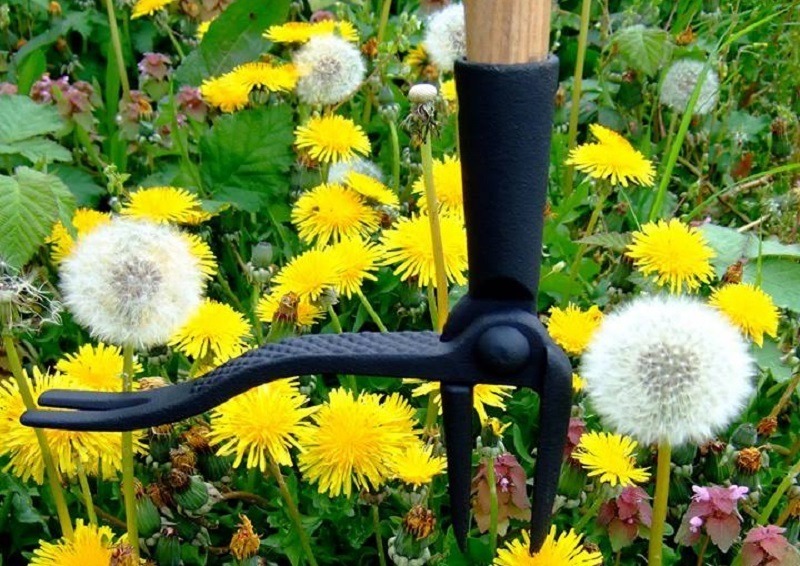 Today, we’re going to be looking at Grampa’s Weeder (model number CW-01) and seeing whether it can stand up to its reputation as one of the best manual weed pullers around. 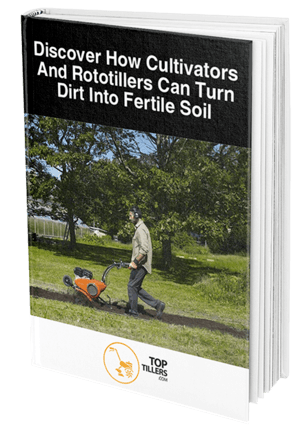 Even in this age of automated weeders, a manual weed puller can often be more affordable as well as effective enough for a garden. Before we get to our review of Grampa’s Weeder, we’re going to take a look at a couple of features that you should always prioritize in a weed puller. Of course, if you have already purchased one of these products before, you may skip right down to the review, as you likely already know what to expect. The first thing that you’re going to want to consider when choosing the right weed puller for your needs is how much it weighs. If you’re going to be going around your garden for a little while pulling out weeds, you don’t want to end up tired by the end of it, and a lighter weed puller can help. Keep in mind that a lighter weed puller may be a little more robust, so it helps to strike a balance between durability and light weight. The price of your weed puller may also be affected by the weight since a heavier one will have to use more raw materials in its construction. As you can see, dimensions are integral for a weed puller, since you need to know how long of a reach you have with it. Instead of constantly having to bend over to get at weeds, you can instead keep standing and save your back and knees from the constant effort of having to bend. Keep in mind that longer weed pullers will usually be a little more cumbersome, as they will be harder for you to carry around without bumping into something. With a bit of practice, however, you can even get used to a 50-inch weed puller. Grampa’s Weeder was the original mass-marketed weed puller, having been invented in Washington state around 1913. Over time, this product grew to influence other companies to make their own weed pullers, but most will argue that Grampa’s Weeder sets the standard for a manual weed puller. As you would expect, there isn't much to a simple weed puller like this beyond how it performs in your hands, and we have to say that it does an excellent job of uprooting most weeds on the first try. 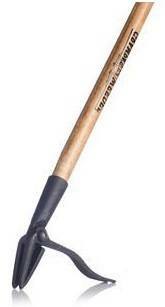 Unlike other manual weeders, you won't have to jiggle it around for minutes to get a grip of the root. The robust design of the lever also helps you press this weeder into tougher soil without having to strain your hands or worry about the integrity of the tool. 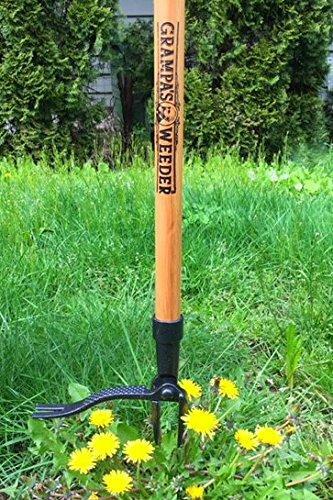 Speaking of the build quality, this weeder is designed to be used for years without any problems, so the handle and the head are solidly attached with no rattling. Thanks to the bamboo handle, this weeder is a bit lighter than some competing models, and the powder-coated steel head is strong enough to grip the toughest of roots. Of course, the best part of this weed puller is how easy it is to use, as you just stick it in the ground and lever out the root. We also went over what customers had to say about this product in their various reviews. 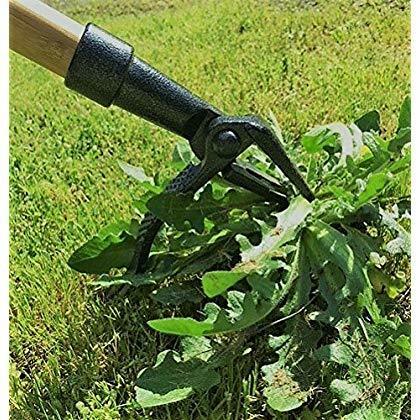 Most buyers were impressed by the exceptional build quality of this weed puller, with others praising how much easier it is to use Grampa’s Weeder when compared to other options. The only bit of criticism we saw was from some customers who stated that this model was slightly overpriced. As far as manual weed pullers go, Grampa’s Weeder may be a little pricier, but we would argue that it’s worth the extra money since it is nearly guaranteed to last longer. If you pay ten dollars more for a weed puller that lasts ten years longer, you’ve gotten the better end of the bargain. You can expect to pay anywhere between 30 and 40 dollars for one of these weed pullers, depending on where you purchase it from. If you need the best manual weed puller on the market, you won’t find many that can compete with Grampa’s Weeder. We hope that this review has helped you choose the right weeder for your needs; feel free to leave us a comment down below.